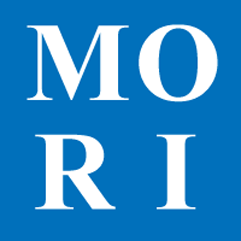 This article presumes that you are already using MORI for Dues and that you are setting up your dues for a second or subsequent year. To setup dues for a new year, you're going to want to go through the whole dues process, like before, but at a greatly accelerated pace this time. Go to Financial > Dues Process > Member Types in the menu and ensure that the amounts listed for each member type are accurate for the year you are setting up. If your lodge has member types that are either years in good standing or age determinant, go to Mailing > Reports / Labels and add your "Regular" member type members to the buffer. Under the report output generate the YGS and/or Age reports as needed to see if you have any members who's member type needs to change. If you do, you'll need to edit their member type on the "member data" tab of their member screen. Go to Financial > Dues Process > Setup Dues in the menu and verify the amounts are correct by clicking 'yes'. Then enter the year your are setting up and click 'setup'. Go to Financial > Dues Process > Dues Notices and customize your dues notices and print them for the new year.